During the Pech Merle tour, (see previous post and my article ‘Time in the Limestone Hills’ in Toast Magazine) we were first taken into a cavern with a long tail of tree roots descending from roof to floor. It was like entering the cave of the World Tree with it’s roots in the Underworld. 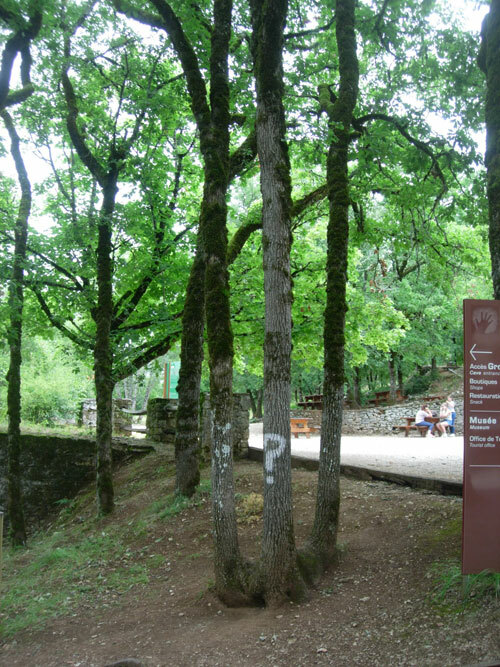 The oak with roots in the cave. 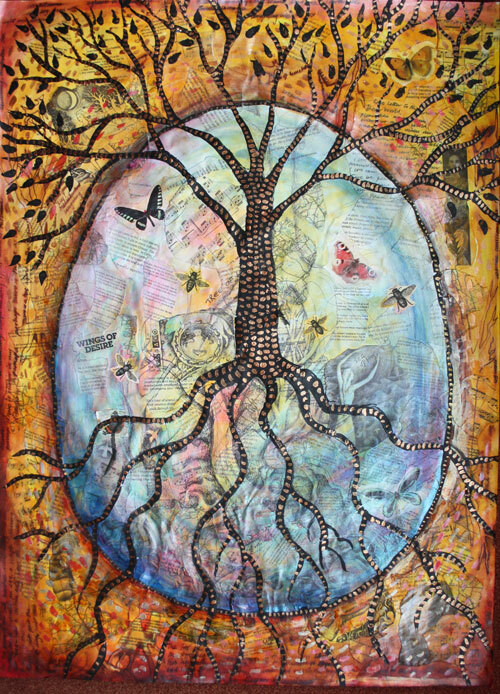 It also features a Cosmic egg, butterflies and a jumble of other images, letter fradments, poems etc. I wanted to add insects as we saw so many at the cabin, especially cicadas. 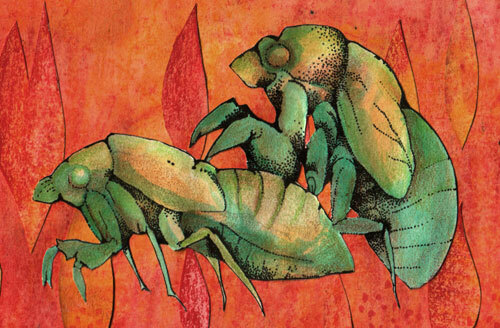 Cicadas spend years below ground in a larval stage, only living a few months above ground as an adult. They also shed their skins periodically – I found a few exuvia attached to bark with all the intricate details of the live insect, even the sheen on the insect’s composite eye. 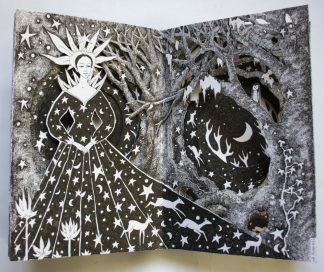 This is another link with the ‘underworld’, and metamorphosis too. I’ve added bees and wasps to the collage as in Ancient Greece bees represented a link between our world and the ‘underworld’ as well. I found various pieces of paper wasp nest near the cabin – beautiful and intricate – which I might add to some creation (watch this space). 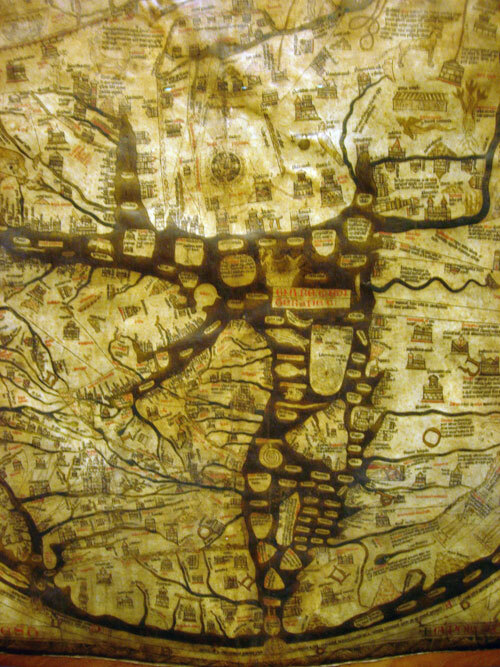 Mappa Mundi is a Medieval map of the known world and dates from around 1300CE. Jerusalem was at the centre. I’m very into natural sound recordings and came across Be:One last year. It was created to accompany The Hive installation. The Hive was an installation by artist Wolfgang Buttress at Kew Gardens last year. There’s something hypnotic about the bees’ droning. The soundtrack is available from Caught By the River’s record label, Rivertones. In the Ancient Greek world bees were worshipped as they represented a link between our world and the underworld. There were special priestesses refered to as “bees” or “Melissas”, the Greek word for honey bee. In Ancient Greek myth Melissa was a nymph who nursed the baby Zeus, feeding him honey instead of milk. It was from her that the cultivation of bees for honey was supposed to have come. 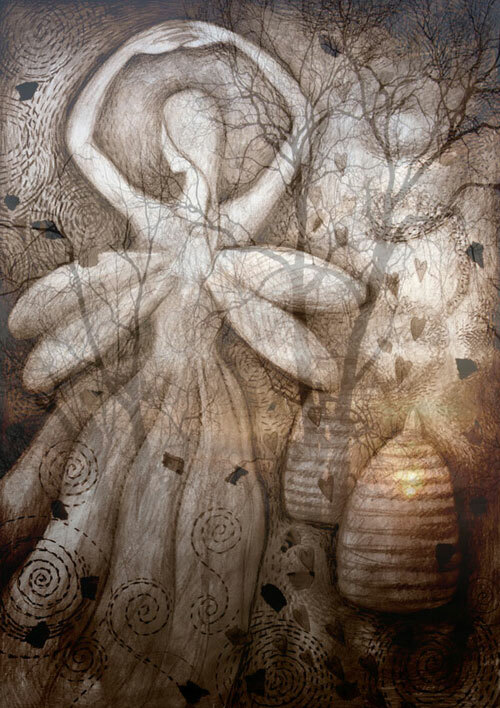 I’ve worked on a Bee Goddess illustration with this ancient bee nymph in mind. 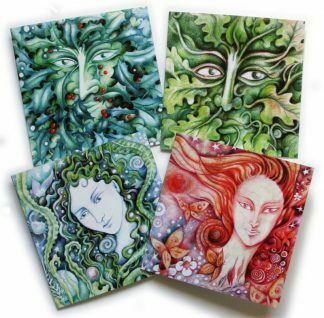 I’ve now made it into a card available in my Folksy and Etsy shops. Since February I’ve been noticing many large bumbee bees while out walking. They’re queen bees seeking nesting sites. 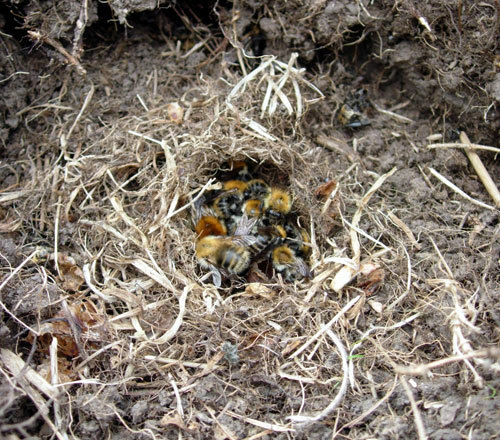 I came across a carder bee nest one summer which I was a little wary of but it was also quite charming like any nest!